These are very pretty and unique design shams. I will buy more as they are great as gift as well. Elevate your style with the Nikki Chu Layla Pillow Shams. These shams are ultimate in shabby chic for a luxe and sophisticated layer to your décor. 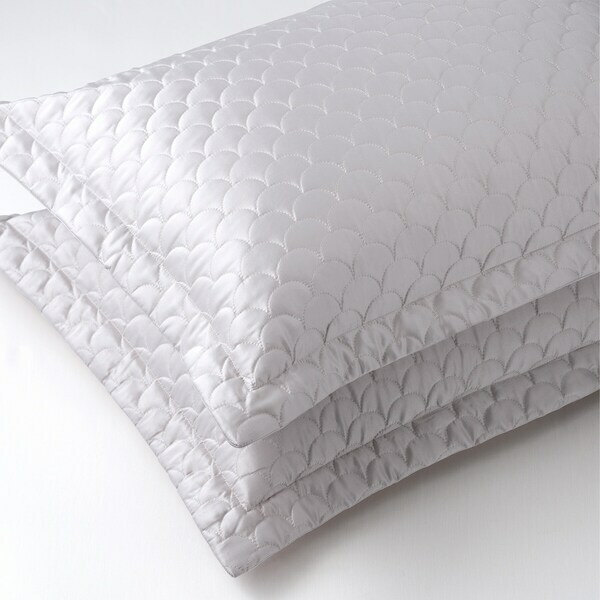 Designed with an updated and versatile color palette in a silky and smooth matte satin with a scallop quilted pattern. Available in 3 sizes and easy to slide on to allow the perfect fit for your pillows. These shams layer perfectly with the Nikki Chu Layla Blanket in coordinating colors (Rose Gold, Silver Cloud, Pewter and Charcoal), sold separately. Dimensions 34.0 In. X 24.0 In. X 1.0 In. Absolutely beautiful. I bought a set for my guest bedroom. Since then, I have bought a set for a gift and I just bought another set for my own bedroom.